How will ETIAS system work? There are many countries who are not in the European Union (EU) whose citizens can enter the EU Schengen Zone without needing a visa. Specifically, there are currently 62 countries who are not in the EU, but are visa free. The ETIAS will undergo a detailed security check of each applicant to determine whether they can be allowed to enter any Schengen Zone country. Since citizens of countries who do not need a visa for travel purposes of up to 90 days in the EU do not need to go through a long process of applying for the visa, the ETIAS will make sure that these people are not a security threat. 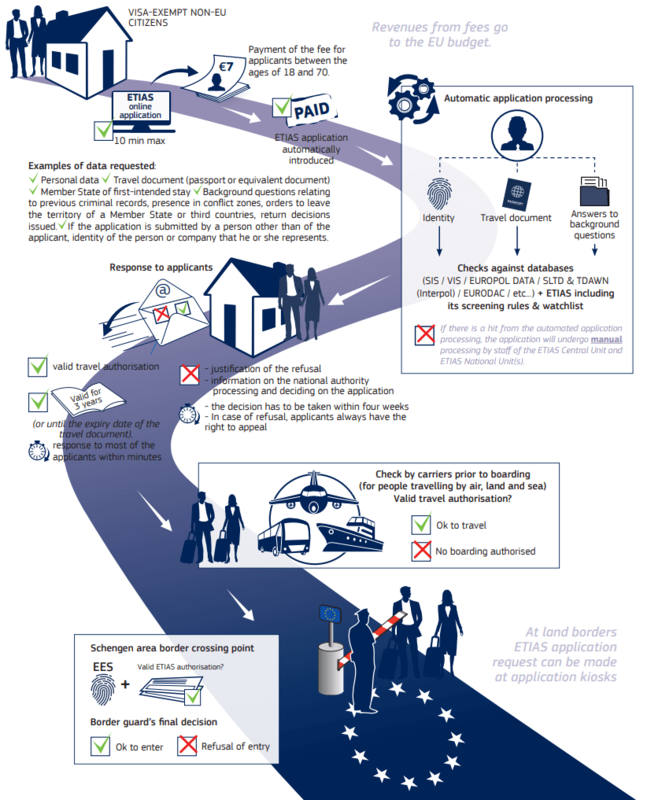 This travel authorization system will gather, keep track of, and update necessary information regarding visitors to determine whether it is safe for them to enter Schengen countries. The ETIAS, besides being used for business and tourist purposes, will also allow people to visit the Schengen countries for medical and transit reasons. In addition, it will be mandatory for all countries who are Schengen visa-free. 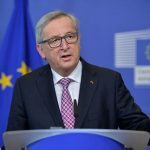 European Commission President Jean-Claude Juncker, State of the Union Address, 14 September 2016. We need to know who is crossing our borders. This way we will know who is travelling to Europe before they even get here. The main reason for the approval of the ETIAS authorization is security. With the increased risk of travelers worldwide, the EU wants to ensure safe travels in its countries. The ETIAS will decrease security concerns substantially through its information and data gathering systems. What this means, is that the ETIAS will detect if a person is a threat in any way to the security of Schengen countries. This will lead to the person being denied entry and avoiding the threat from being present inside EU borders. It will basically deal with a problem before it is even there. 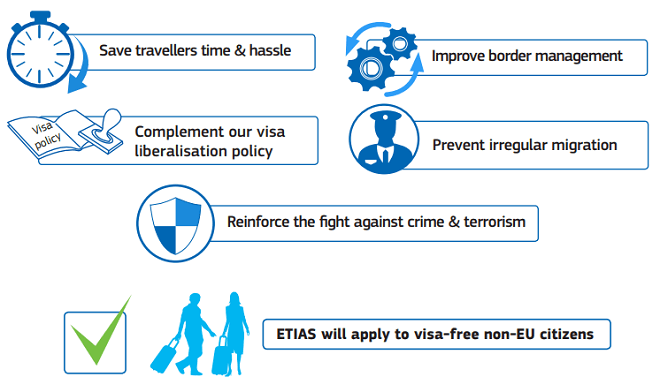 All in all, the ETIAS authorization will make travelling to the EU less of a hassle and a much safer experience. The ETIAS system will be simple to use and will save time for applicants and for processing. If what you filled out on the application form is correct, and you are eligible and not risky for the ETIAS, then you will be approved. This whole procedure is expected to be completed in only a few minutes. However, if there is a hit from the ETIAS, the application will be manually processed. The manual processing is expected to take about 96 hours (4 days), or a maximum of 2 weeks. Below you will find answers to commonly asked questions regarding the ETIAS authorization. No. 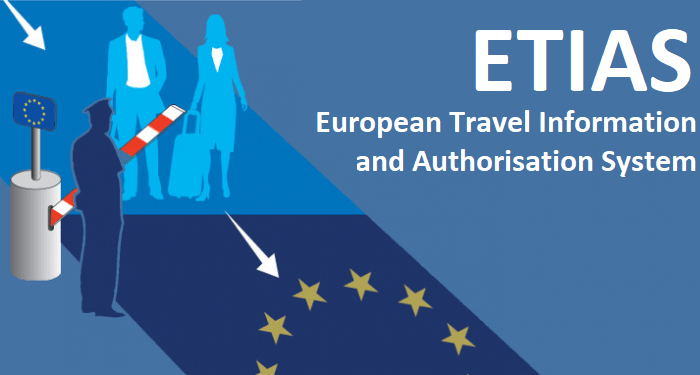 The ETIAS authorisation is not a visa. Nationals of visa liberalisation countries will continue to travel the EU without a visa but will simply be required to obtain a travel authorisation via ETIAS prior to their travel. Since a long-term visa issued by one of the member states gives you the right to move throughout the whole Schengen, you will not need to obtain a travel authorization for as long as you have the visa.